Uh oh, you’ve lost your phone and aren’t near a computer to help you locate it. 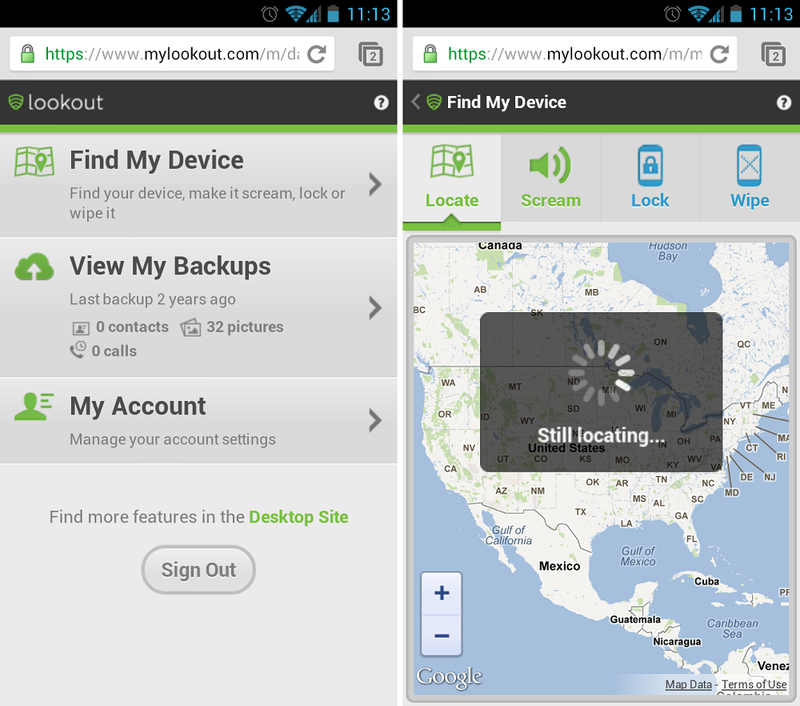 No worries, you have Lookout installed and your friend has a smartphone too. With Lookout’s newly redesigned mobile web application, finding your device at the Starbucks you left it at is now even easier than it was before. With the new mobile web-based app, you can view your backed up contacts, locate your device’s location through Google Maps, and if you’re a premium user, remotely wipe and lock your device so no creepers can look through your goods. The redesign has already rolled out, so go check it out at the Lookout website on your phone and make yourself comfortable. Lookout also plans to roll out even more features for the redesign so stay tuned.